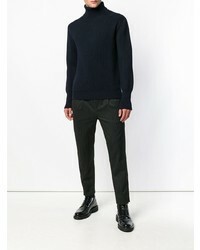 A navy turtleneck and blue skinny jeans make for the ultimate off-duty style for any modern gent. 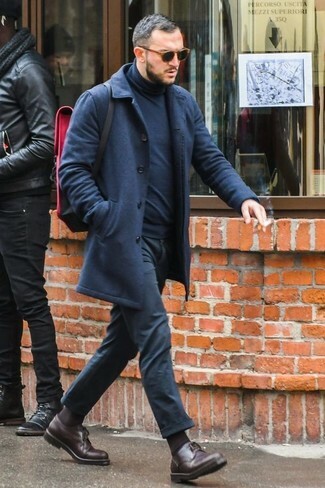 A cool pair of dark brown leather chelsea boots is a simple way to add a little kick to the ensemble. 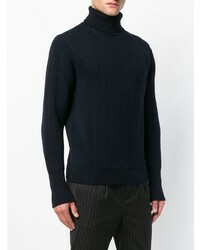 This casual combination of a navy turtleneck and black jeans comes in handy when you need to look sharp in a flash. 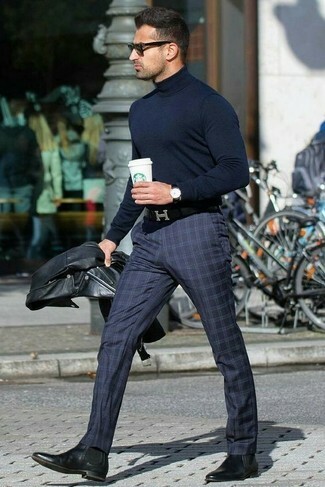 Pairing a Maison Flaneur Turtleneck Ribbed Jumper from farfetch.com and beige dress pants is a fail-safe way to inject your daily lineup with some manly elegance. 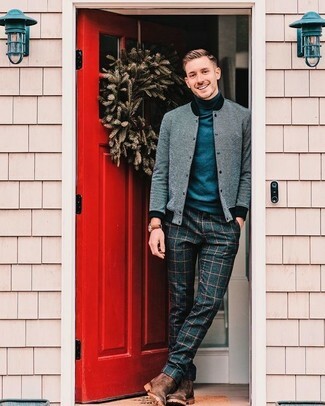 When the dress code calls for an elegant yet killer getup, you can opt for a Maison Flaneur Turtleneck Ribbed Jumper and navy check wool dress pants. 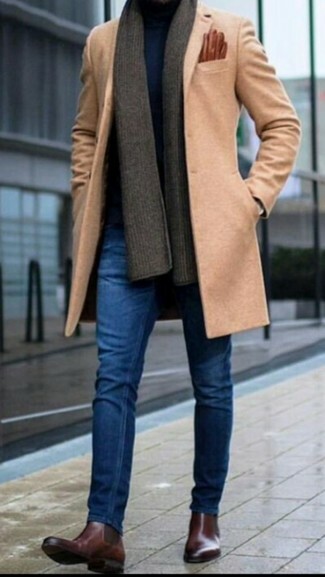 A pair of brown leather chelsea boots is the glue that will bring your outfit together. 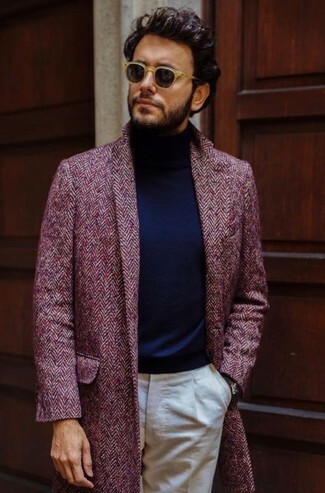 Consider pairing a Maison Flaneur Turtleneck Ribbed Jumper with burgundy jeans to pull together a laid-back and cool look. 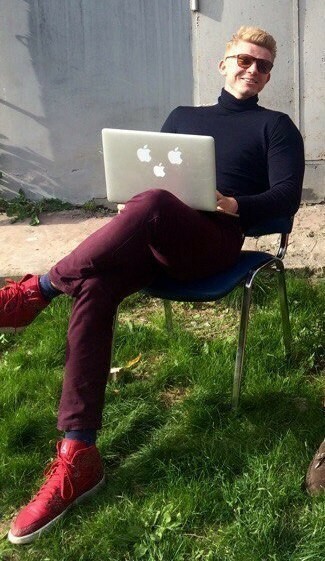 Balance this look with more relaxed footwear, like this pair of red leather high top sneakers. 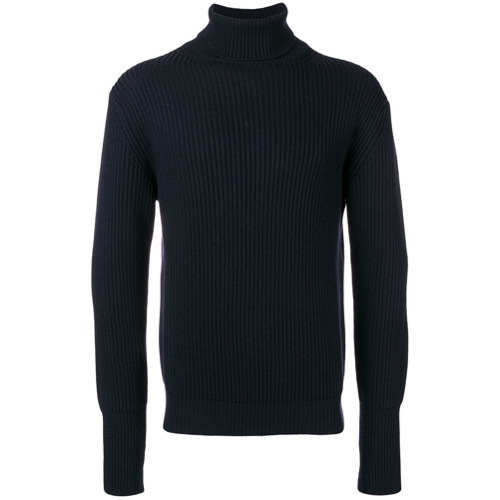 Dress in a Maison Flaneur Turtleneck Ribbed Jumper and black chinos and you'll look like the dapperest dude around. Clueless about how to complement your outfit? Round off with a pair of dark brown leather derby shoes to dress it up. 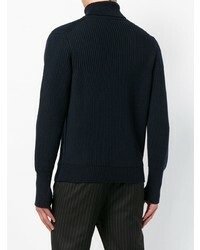 This combo of a navy turtleneck and navy plaid dress pants is great for smart casual events. 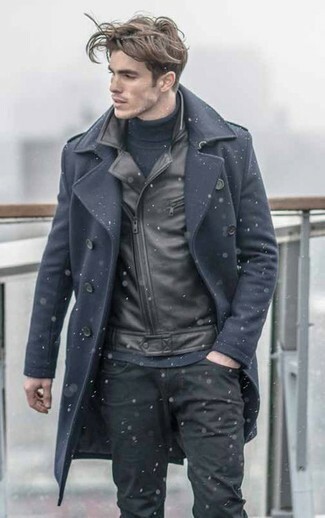 Introduce black leather chelsea boots to this outfit and you're all set looking spectacular. 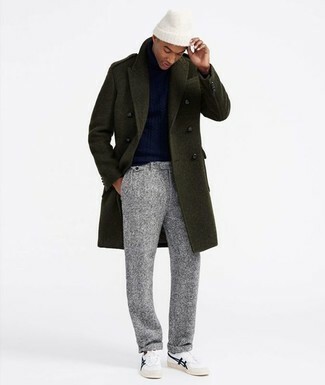 Such items as a Maison Flaneur Turtleneck Ribbed Jumper and a grey overcoat are the ideal way to infuse a sense of rugged refinement into your current lineup. 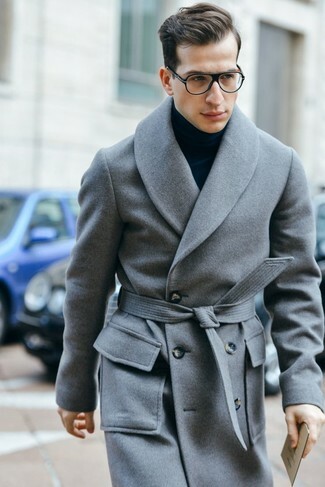 Definitive proof that a Maison Flaneur navy turtleneck and grey wool dress pants are amazing when worn together in a polished outfit for today's gent. Feeling creative today? Play down your look by sporting white low top sneakers.